The flight control lock has been pressed together and painted. Fuselage “bird cage” frames and longerons are being made and mocked up on spare fuselage tube frame. 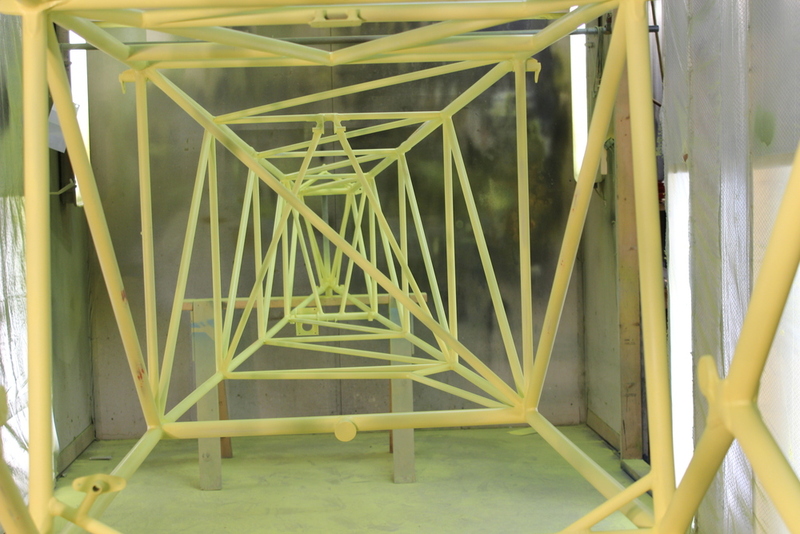 Meanwhile the nicely repaired actual fuselage frame goes into the paint booth for its first coat of yellow zinc chromate.